I have had a tough time keeping Cockeyed.com updated because all my free time has been spent working on my Halloween costume for this year. 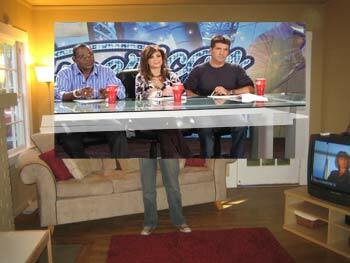 I always have a bunch of pretty good ideas for elaborate costumes, but this year, the best idea came from my friend Mark Hamilton: The American Idol Judges. All three of them. For the sake of balance, I'd have to sit in the center, and who sits in the center? Paula. 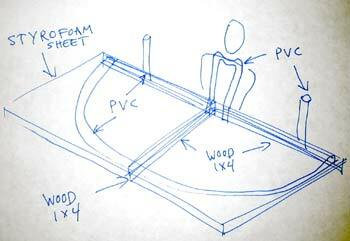 With a few sketches, and a run to Home Depot, the project was underway. 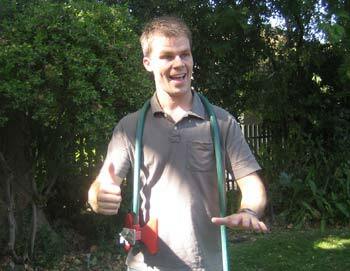 That first picture, with the garden hose around my neck, is how I visualized the shape of a curvy harness, able to keep a lot of weight up and in control. 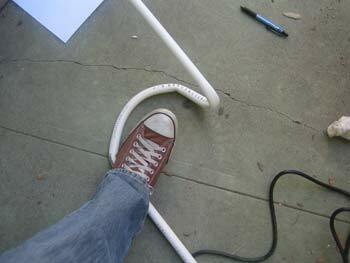 I got a heat gun for Christmas, so bending PVC is easier than ever. 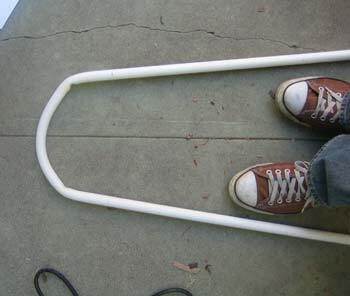 Bending PVC tubing is really fun. If I had more time, I think I could make a nice skeleton out of this stuff. 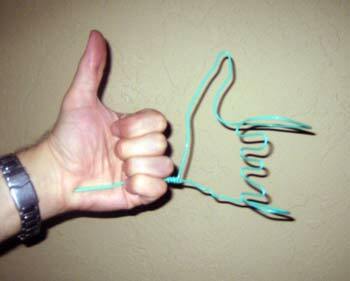 A hand, twisted out of coat-hanger wire. 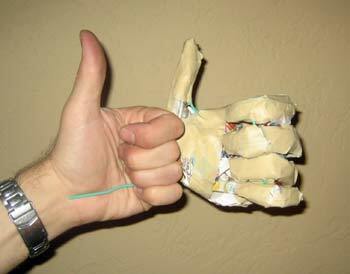 The wire hand, fleshed out in newspaper and masking tape. 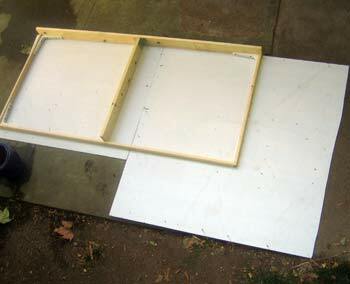 Building a strong, lightweight rectangular platform. 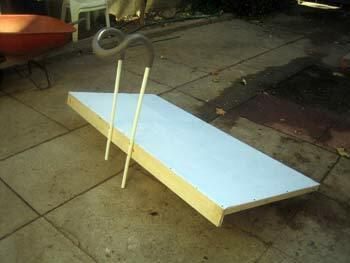 Usually, if you find yourself using heavy-gauge steel deck brackets in your Halloween costume, you are doing something wrong. 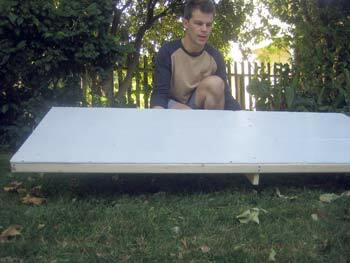 Making a surface out of corrugated plastic sheet. 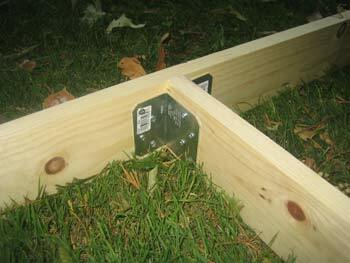 The tabletop and harness connected. This would be a pretty good way to start a poker, surgery or Rachel Ray costume.